Prototech is a French company based in China, providing rapid prototyping services and high quality finishes to manufacture your parts. 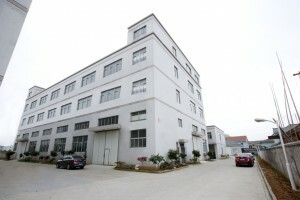 Specialized subsidiary of Unimold Asia, our factory is located south of Shanghai in Zhejiang province. Nowadays doing rapid prototyping in China is a real advantage for your business or projects. Professional rapid prototyping and small series of plastic and metal parts made in China is now possible thanks to our services. Our design office consists of three designers specialising in digital modelling. We are able to accept all your CAD (Computer Aided Design) files (IGS, STP, X_T, CATIA, etc.) and thus assist you in optimising your plans. Prototech offers the most advanced rapid prototyping technologies which are more efficient than 3D printing to guarantee production that meet your requirements. With 100% French management and means of production in Asia, Prototech guarantees high-quality service at competitive prices. We operate in automotive, electronics, food, consumer goods and many other industries that rely on rapid prototyping. Rapid prototyping service in China is the future of innovation and it is Prototech’s duty to advise companies in their project. Rapid prototyping service in China offers an opportunity to support your innovation and your new generation of product. Our mission is to provide the best added-value of rapid prototyping service in China to our customers. Developing new generation products has never been easier with the rapid prototyping service in China offered by Prototech. With production in Asia, Prototech can guarantee you very competitive rates. Receive your prototype parts by TNT courier within 3 to 15 working days. A dynamic and qualified French team will meet all your expectations. We offer different technologies to meet your various needs. The 3D files remain with us internally. Do not hesitate to contact us for more information on rapid prototyping services from China! I am currently looking for help with product development and manufacturing. I would like to design, prototype and produce a sports-related product. It would also need printed product description with images and an instructions booklet as well as some packaging. The product would have to possess good impact resistance, fatigue resistance, moderate stiffness and strong durability. Please let me know if this is something you could help me with. For the production of your parts, we can help you to prototype and produce plastics as well as metal marts. For the next step, we can also provide our services. We would like to receive the first design to quote the project.